Arthur Henry Leslie Soames was the eldest son of Frederic William Soames and Julie Mary Soames (nee West). Frederic was a businessman and commissioned a grand new home, Bryn Estyn, for the family. He owned the Racecourse football ground and the Soames Brewery in Wrexham. After his education at Eton College, Arthur served in South Africa with the 3rd King’s Own Hussars. He was subsequently seconded to the recently formed Royal Flying Corps. 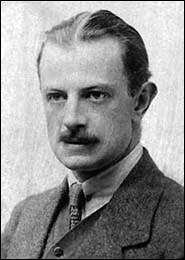 Soon after Britain declared war on Germany, he took part in the very first British deployment of aircraft to a theatre of war, as part of the British Expeditionary Force. Arthur was flight commander of No.4 Squadron and piloted a B.E.2a biplane to Boulogne. The aviators were greeted by French well-wishers after touching down on 13 August. At Buckingham Palace in May 1915, King George V presented the Military Cross to Arthur in recognition of his valour during aerial reconnaissance missions over enemy territory. Arthur also received the Légion d’Honneur from the French government. In February 1915 he was appointed First Commanding Officer of the Armament Experimental Flight (AEF) at the Central Flying School in Upavon, Wiltshire. The AEF’s task was to assess new technologies and techniques for military aviation, then in its infancy. On 7 July 1915 Arthur tested an experimental high-explosive bomb and its fuse. He retreated at least 80 metres away and stood behind a tree for protection. However, he was struck by a fragment of the bomb and died soon afterwards. An inquest jury returned a verdict of accidental death. Arthur was 28 years old. He is buried at All Saints churchyard in Gresford. In February 1916 a bronze tablet in his memory was erected in St Giles’ Church in Wrexham. The King had given permission for the RFC’s badge and the Military Cross to be depicted on the tablet. Arthur is also commemorated on the airmen’s war memorial at Lupton’s Tower, Eton College. Arthur had four brothers in war service: Evelyn (Royal Welsh Fusiliers), Noel (Cheshire Yemonary), Julian (5th Dragoon Guards and RFC) and Cecil. In May 1916 Noel, a Lieutenant, died of heart failure after returning from a camel patrol in Egypt. He was 27 years old.